Another nifty card is on its way to Hearthstone. 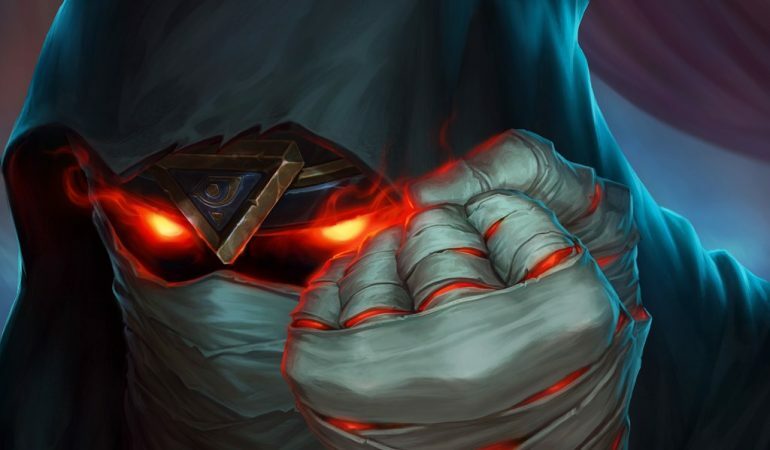 A new Priest card has just been revealed for Hearthstone’s Rise of Shadows expansion. 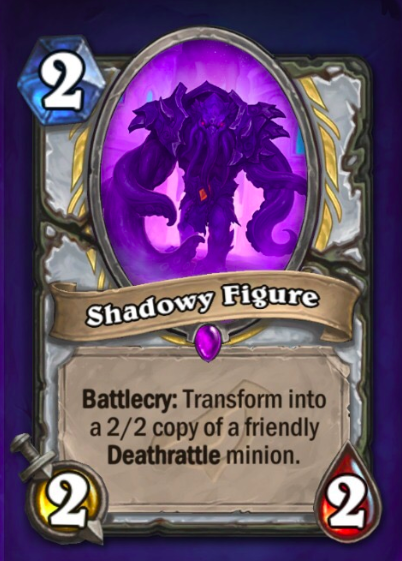 Shadowy Figure is a two-mana Priest minion with two Attack and two Health. Its Battlecry transforms itself into a 2/2 copy of a friendly Deathrattle minion. Shadowy Figure is a card that would work perfectly in a Priest Deathrattle-oriented deck. It’s not the most groundbreaking card, but it has the potential for a lot of value. It’d be ideal if you managed to play it on a Mechanical Whelp, an Obsidian Statue, or Cairne Bloodhoof. The card would also work well in the Wild format. It would be a deadly combination with a deck like Reno Priest, and particularly Carnivorous Cube. Just imagine all the crazy combos you could pull off. It’s not available to play just yet, though. It will be released with a plethora of other cards once the Rise of Shadows expansion comes out on April 9. For those who are desperate to get their hands on all the new cards, they can get a few extra packs from pre-purchase bundles for the expansion. There’s the 50-pack pre-sale bundle for $49.99, and if you’re feeling ambitious, the mega pack includes 80 card packs and more for $79.99.